The Year Out Group is an association of leading year out organisations that was formed in 1998 to promote the concept and benefits of well-structured year out programmes, to promote models of good practice and to help young people and their advisers in selecting suitable and worthwhile projects. 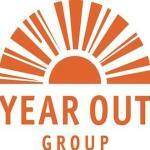 The Year Out Group is a not-for-profit organisation. The suggestions and guidelines included on this web site have been produced by the Year Out Group and are intended both for people planning a gap year and parents, teachers and other advisers that may have an interest in helping people select a suitable and worthwhile project.